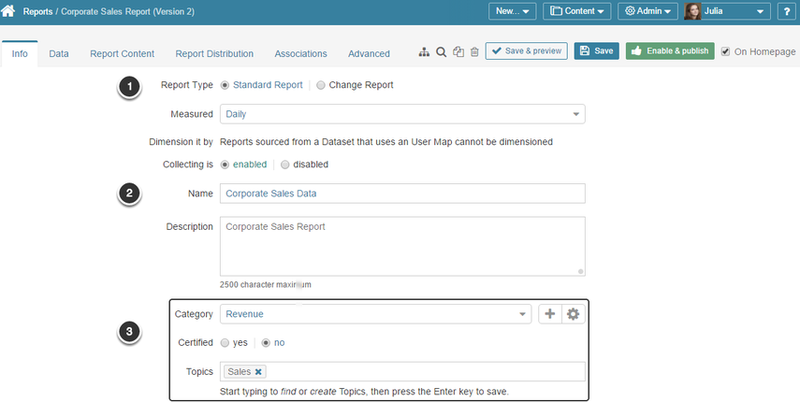 Datasets offer a quick and highly automated way of building new Reports. This article describes the step-by-step process of creating a Report from a specific Dataset View. Select the Build Report option. If this Dataset View is Private, the system will offer to automatically make it Public and accessible to other users. You are redirected to the Report Editor. 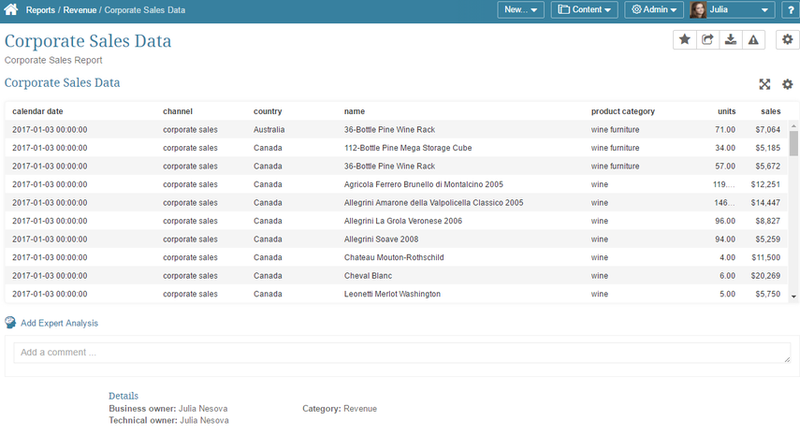 Name: is populated automatically with the name of the Dataset View. You can change it to a unique and descriptive name of your choice. Move to the Data tab. 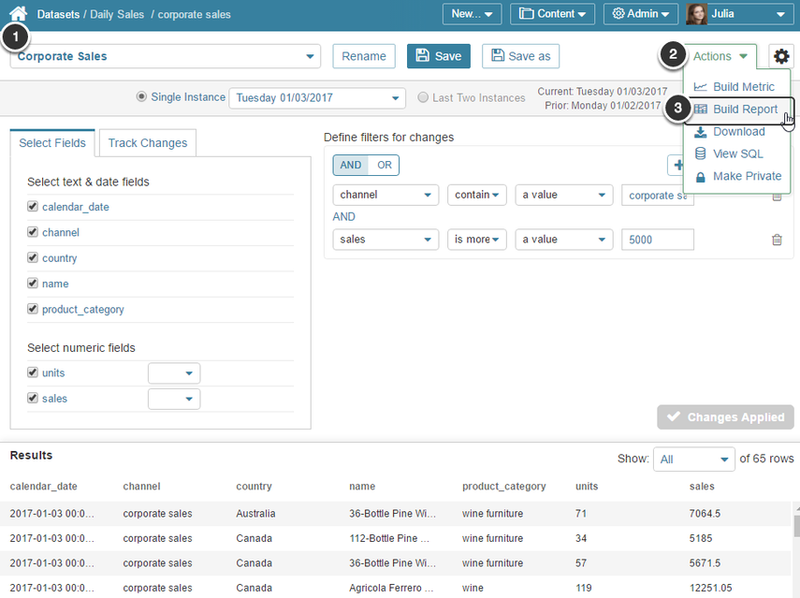 All the fields defining the Data Collection process are populated automatically based on the associated Dataset View. Review the Sample result set. Once you confirm that the Sample result set contains the expected data, click Enable and Publish at the top right corner of the screen. Select the date-time value to be used as the effective date value for the Report. This value is only applicable to reports with saved historical instance. 2.3 Filter combinations for comparing "Last two Instances"
3.4 Sourcing Reports / Metrics / Dimensions from "Existing Datasets - SQL"